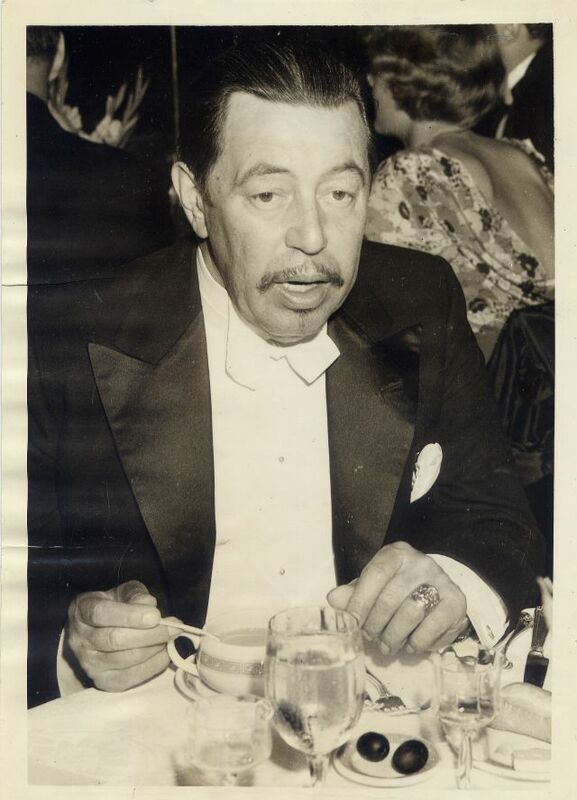 Bobby Jones consoles W.C. Fields on his poor golf swing, as Warner Oland looks on. 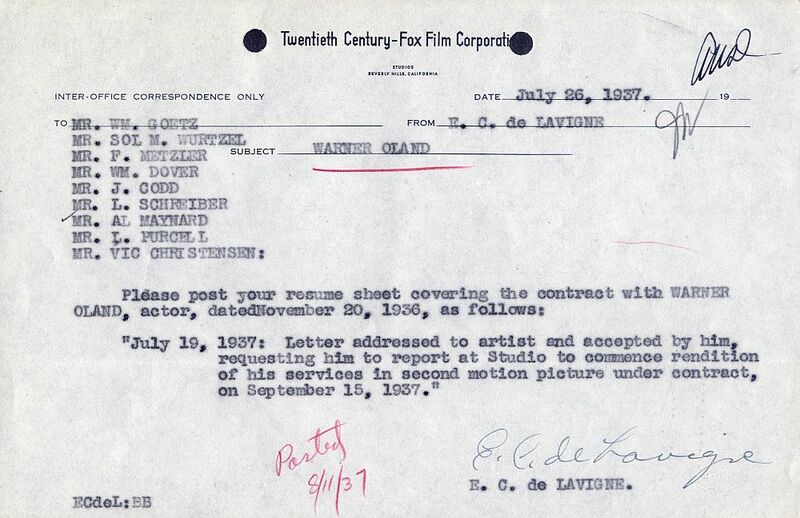 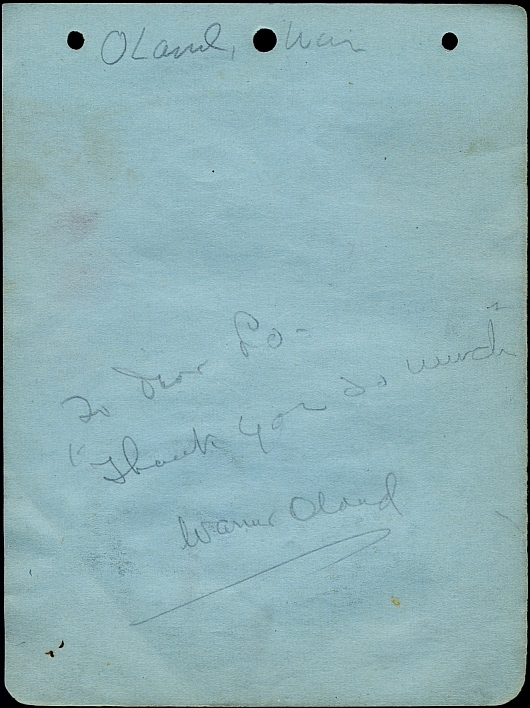 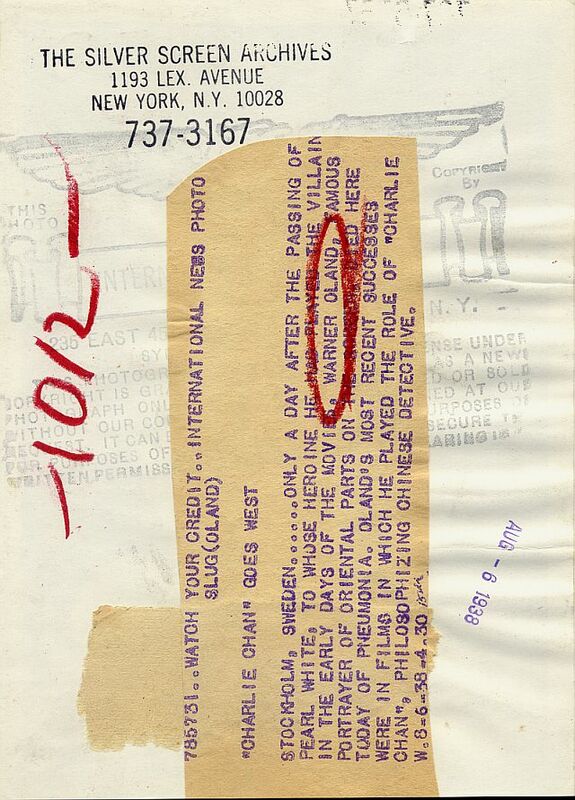 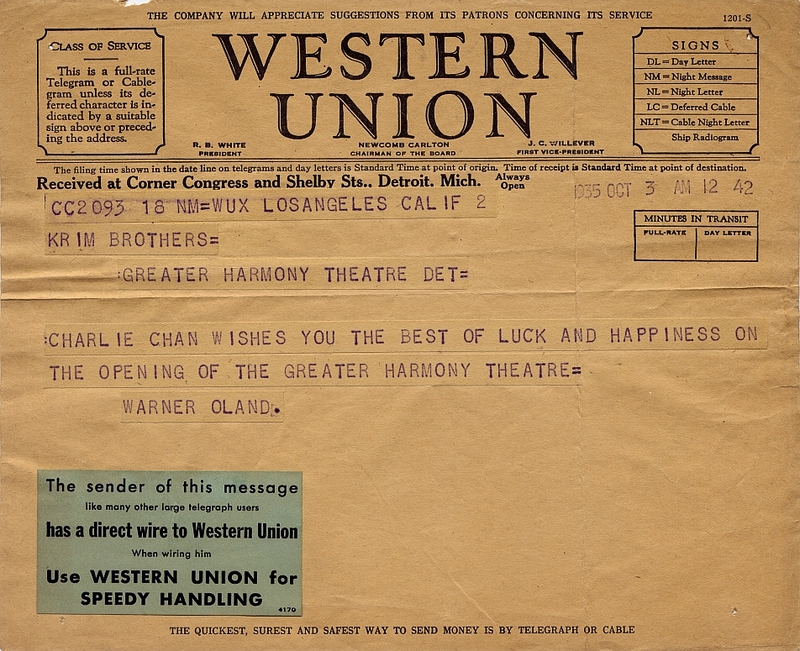 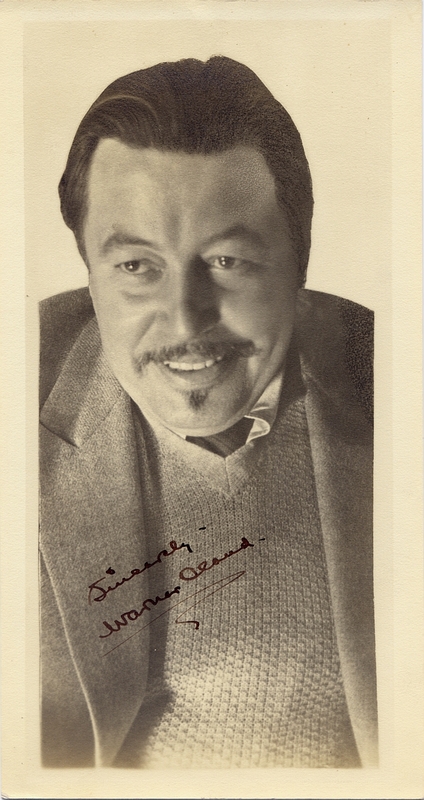 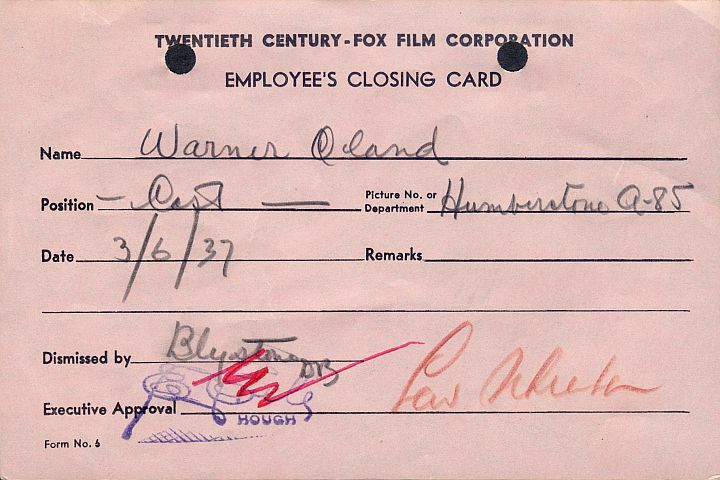 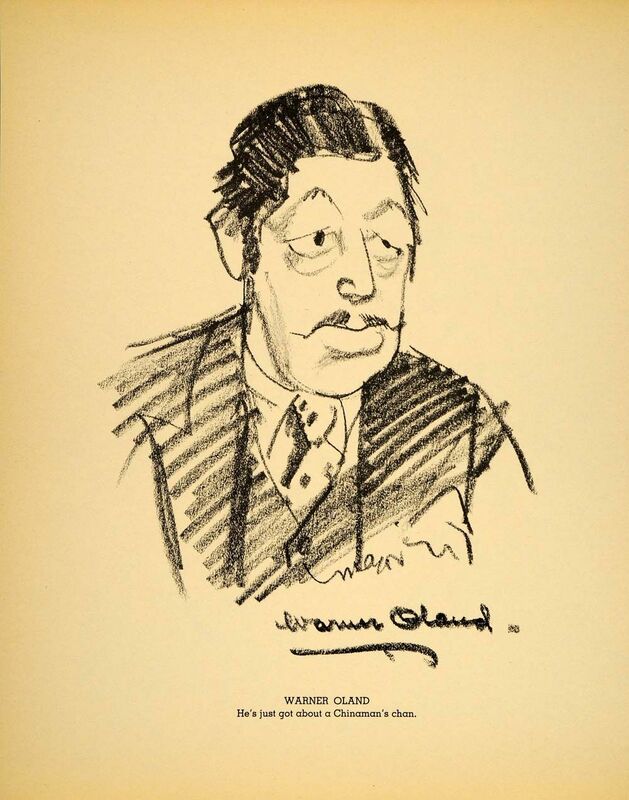 A telegram message sent by Warner Oland to The Greater Harmony Theatre in Detroit, Michigan. 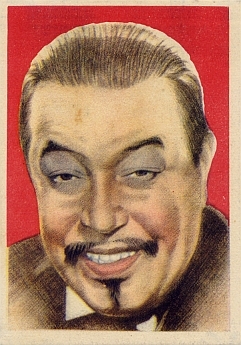 wife Edith during his trip to China in the spring of 1936.
International News Photo announcing the passing of Warner Oland.